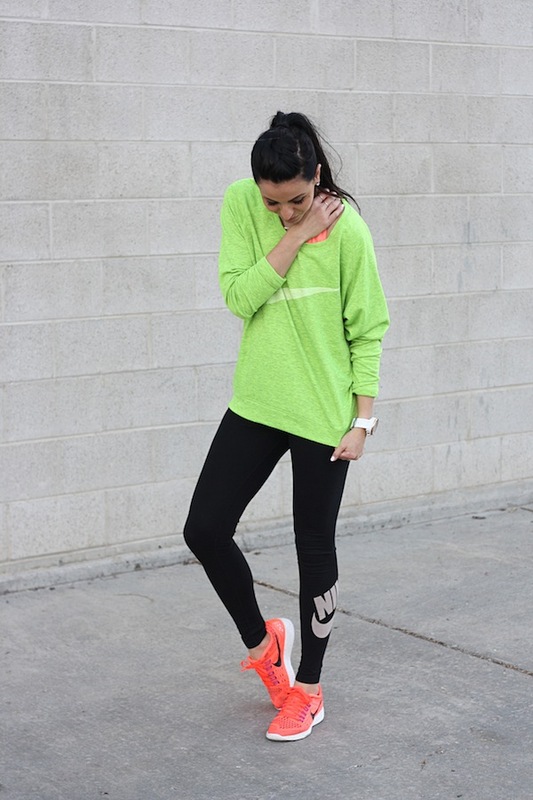 Robyn Vilate: Nike for the win! Yay for hitting my second trimester this last week and finally feeling good enough to get back to a normal life! Back to actually cleaning my house, doing laundry, and yes, working out! I had never been sick when I was pregnant with Olivia, so these two kind of rocked my world when I started getting sick right away after finding out I was expecting. I had no idea how miserable morning sickness was and how it can completely knock you down and make you feel like you never want to move again, ha! I can laugh a little about it now, but let's be honest, the struggle is real ladies!! However, at 13 weeks I woke up and it was like it had never happened, so this post is dedicated to getting back into the swing of things! I had tried to work out a little here and there during my first tri because I would feel pretty good in the mornings some days, but I am so glad to finally be back to my normal routine! Gotta keep my body, mind and spirit healthy, and for me, that usually comes from getting my workout in for the day! So you can imagine how excited I was to do a little shopping at the Traverse Mountain Outlets here in Lehi, UT because I knew the Nike outlet was there and I could splurge a little and get a few things to keep me comfy throughout my pregnancy workouts! I found SO many great things and for such great prices that I was able to justify buying a few things bigger and looser. I snagged a few comfy sports bras (this one in peach is my FAVE! 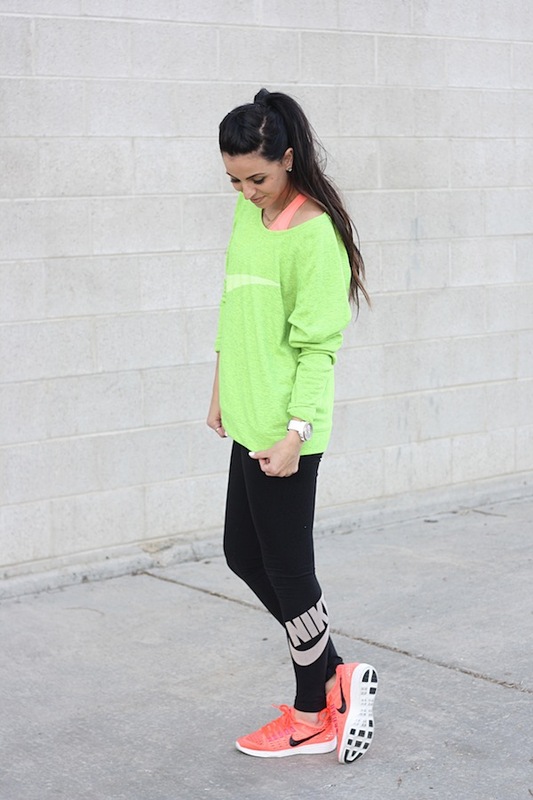 ), this cozy pullover sweater, and these incredibly comfy running shoes. I love mixing and matching and finding great deals, so the outlets are a one stop shop for everything from my workout stuff, to hitting H&M for Olivia's clothes, and then hitting the J.Crew Factory to snag a cute dress or flats! If you are in Utah, make sure to check out the newer Traverse Mountain Outlets in Lehi! So close and so many great stores!! You are so cute. I am a twin and I absolutely love having a built in best friend! How exciting. I feel inspired to exercise more just because the best workout clothes I have feel and look so good. I already bought another pair in XL because I KNOW I am going to drop another size in very short order!